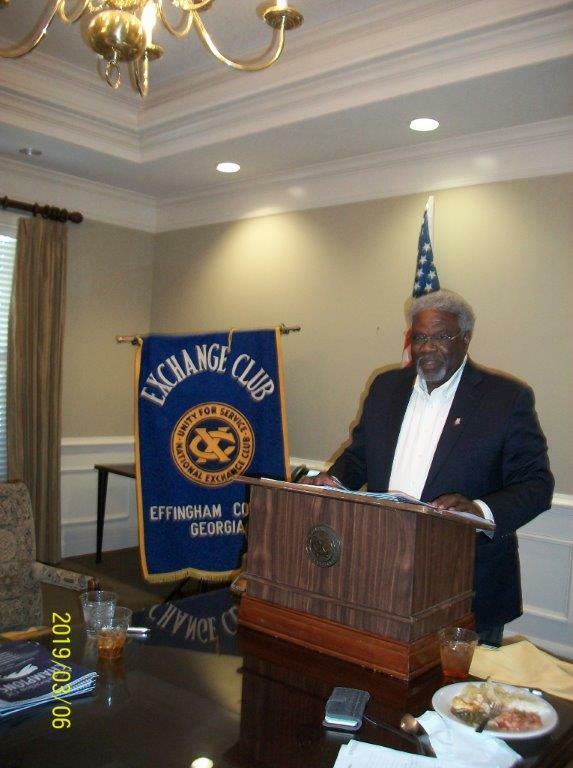 The Exchange Club of Effingham Co. hosted Dr. Franklin Goldwire (husband of the Club’s Vice President Dr. Cheryl Goldwire) at a recent meeting. He spoke about the history of Springfield Central High School, that thrived from 1956-1970 before being closed due to integration. Efforts are under way to have the school designated as a historical site with the Georgia Historic Society.